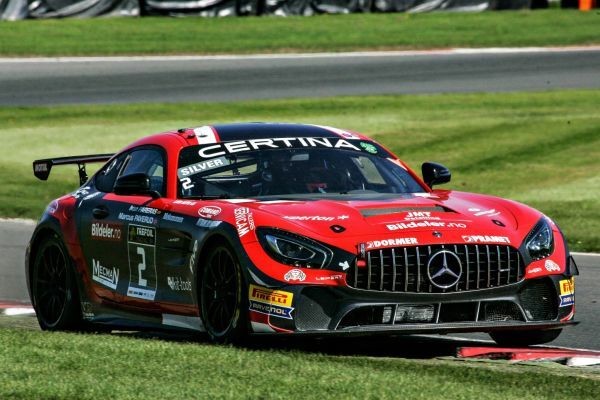 Following the mixed performance at the opening round of the 2018 European GT4 Series at Zolder with new drivers Marcus Paverud and Ivan Pareras onboard the team’s brand new Mercedes-AMG GT4, Leipert Motorsport were hoping Brands Hatch would be the venue to kick start their 2018 campaign with at least one visit to the podium. Unfortunately the weekend got off to a difficult start for the MOTUL sponsored German team when an incident in Free Practice 1 side-lined the crew for the reminder of the session. Following a superb repair job from the team, the duo were able to return to the track for Free Practice 2, using the session to familiarise themselves to the unique characteristics of the British circuit which they had both never visited previously. Marcus Paverud took to the track to qualify for race one and by the close of the session secured P24 overall and P16 amongst the Silver class crews. Ivan Pareras impressed during his qualifying session for race two to secure P18 overall and P10 in the Silver class rankings. Despite lining up down the order, race one starting driver Marcus Paverud was hopeful of working his way up through the field during his stint in the race. However it was drama from the off for the young Norwegian with heavy contact during the opening lap. Dropping back to P27, his hopes of charging up the order were paused when the Safety Car was deployed. With racing resuming on lap six, Marcus started to make good progress and was up to P25 as he dived into the pits with the Safety Car just about to go on track for the second time. 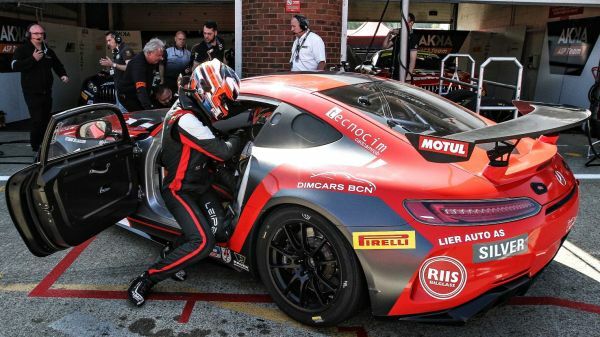 Following a lengthy pitstop to assess and repair the damage to their Mercedes-AMG GT4, Ivan Pareras took to the track and was finally able to start racing when the track returned to Green on lap 15. However just two laps later the Safety Car was yet again deployed before the race finally finished with a red flag, resulting in a P37 finish from the opening race of the weekend. Hoping for a much cleaner race in so many ways for the second and final race of the weekend, this time it was Spaniard Ivan Pareras taking care of starting duties from P18. When the lights went out, his lack of race mileage from the opening race didn’t show as he shot up the order, already up to P13 by the end of the opening tour. Slipping back a place to P14 a couple of laps later, Pareras consolidated his position and with the Safety Car coming out at the perfect time on lap 16, the team took the opportunity to pit and change over to Marcus Paverud for the remainder of the race. A superb strategy call and pitstop by the Leipert crew allowed them to leapfrog up to P5 on track as they returned to the circuit. Keen to make amends for a disappointing race one, Markus was keen for more and two stellar moves in the closing stages of the race earned them P3 overall and their first podium finish of the year. “This weekend was a real challenge after not competing in free practice 1 we had to find our rhythm quickly. On a small track like Brands Hatch it’s a hard fight with 46 cars in the grid. Finally, we managed to develop until race 2 where we belong. Next Round: Misano, Italy – Saturday 23rd & Sunday 24th June 2018. GT4 European Series: MDM Motorsport to field two BMW M4 GT4s. Reiter Engineering joins GT4 Europe, GT4 Central & GT4 Belgium in 2018! 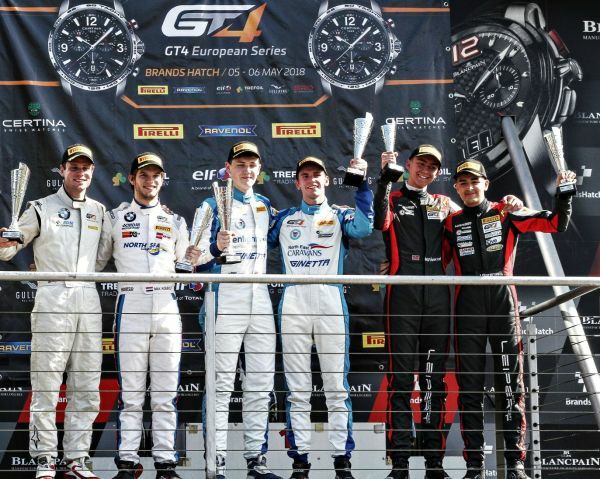 Zandvoort to decide GT4 European Series Northern Cup titles?